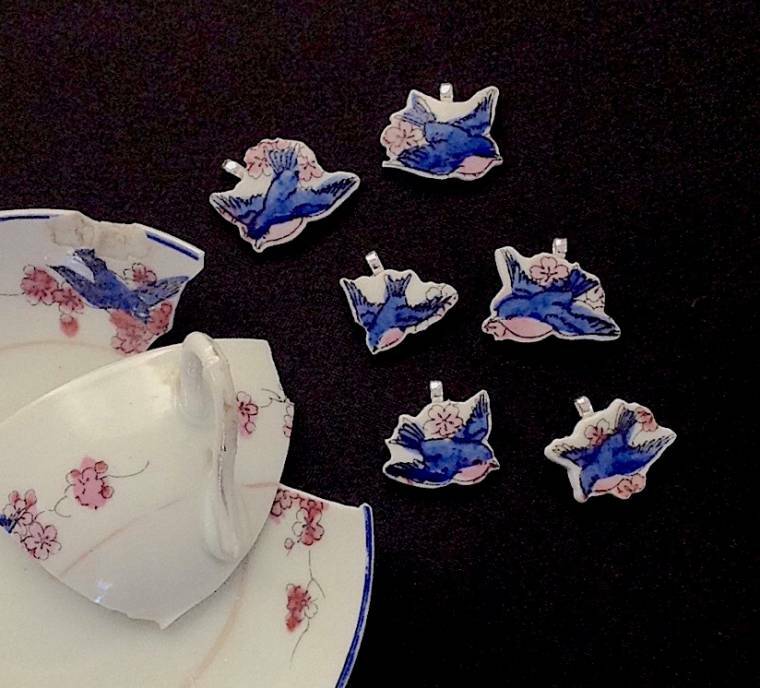 A woman turned her recently deceased grandmother's teacups into pendant necklaces, which se gifted to her sisters as keepsakes. The chipped pieces shown here were used for the pendants. For more information, or to make a purchase, please visit www.DinnerWearJewelery.com.